PORTRAIT SESSION * $275 (w/no print commitment) $125 (w/ a minimum $100 print commitment) non-refundable session fee, due prior to the session (payments can be made through Paypal), secures your 2 hour personalized session with the photographer within the Shingle Springs or nearby area at a favorite location of your choice, in the comfort of your own home or within the studio. A personalized gallery will be established online with up to 30-40 digitally enhanced select images to view) Up to 10-12 images will be posted and tagged on our studio's Fan page on Facebook for sharing with the Studio's watermark. Please help to protect your images and the Studio's artistry by maintaining and not cropping out the overlayed watermark. Prior to your session, Lisa will meet with you for a brief 30 minute consultation to personalize your portrait experience and go over any questions you may have. Images will be available to view from which to make your portrait selection from two weeks after the shoot. Prints are not included in the session fee. Session fee covers photographer's time, retouching and artistic editing, establishment of a gallery for viewing of images two weeks after the shoot. Your gallery of images will be available online for viewing for you and your family and friends to order for a period of four weeks. The gallery will then be archived. A $25.00 restoral fee will be charged to reload the gallery for viewing online once it has been archived. EXTENDED PORTRAIT SESSION * $475 (w/no print commitment) $325 (w/ minimum $100 print commitment) to extend your session and combine both your studio and outdoor experience to a five hour session. All images are printed on Kodak Endura Professional Papers through our professional labs. California State Sales tax of 7.75% will be added to all print orders. Prices subject to change without notice. Current pricing will be honored for those sessions that are booked with a pre-paid session fee. 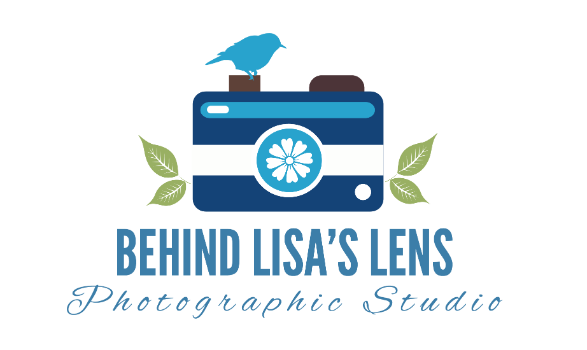 PLEASE NOTE: For all sessions, Behind Lisa's Lens Photography reserves the right to use all images, at the discretion of photographer, for use on this website, promotional materials for print and web, blog and business materials. You will be required to sign a model release at your session. Last names are never used in these commercial uses unless previous arrangement are made.